But first, how I navigate experiencing the many restaurants here. There are so many options that I need to prioritize where I eat to avoid blowing my budget. The easiest way to do so is to limit eating out to an experience. So, eating out with friends and family is one of my personal rules. And enjoying that meal with a fantastic ambience is another. So, I have a better grip on the best places for outdoor eating and a great view than I do necessarily the newest places in town. I usually wait on those until all the people who go to see and be seen have been and blown a ton of cash. If the restaurant survives that initial glut (and is still in business), it’s worth trying-out. If you want delicious food and stunning views, then boy do we have a list for you. I tried to order this by the best view, though I also factored-in food, drinks, and how expensive hanging out costs. I even considered how annoying other patrons can be. Few places have undergone a transformation quite like the rooftop bar at Vendue. It was a real party venue back in the day, now, it’s one of the classier bars in the area. There are colorful cocktails and a variety of light snacks and foods to eat when you get peckish. The view is the big selling point though. You can see all across the harbor to Patriot’s Point and Mount Pleasant. The view the other direction looks across historic downtown Charleston. 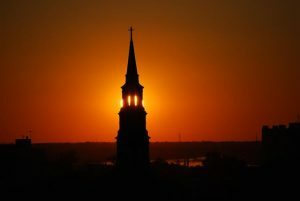 The sunsets from here, watching the sun sink behind the church steeples of downtonw, are incredible. The Watch is a Southern-style restaurant that sits at the top of a stylish hotel. It’s the Restoration, in fact, one of the best boutique hotels in downtown Charleston. The meals are classy, but the views are all that matter here. At seven stories up, you get some brilliant panoramics of the surrounding area. It’s the place to be if you’re looking to revive a dying Instagram account. Stars is fantastic, as it offers some classic American food with a really quirky 1930s feel about the place. The views here are fantastic as you can see all the bustling bars on Upper King Street. Watching King Street pulse on a weekend night is one of the more fun things to do in Charleston at night. If you enjoy people watching, and drunk people watching especially. It’s definitely one of the more casual restaurants in Charleston. That makes it perfect for a Saturday evening meal and a drink (or three). Now, if you want a proper fine dining experience with views worth more than the food, then Élevé is the place to be. The dining area is simply gorgeous, and the cute little rooftop offers a refreshing view of the corner of Wentworth and Meeting Streets. The furniture of the rooftop section is funky. It’s the perfect place to grab a drink before hitting up some other bars after sunset. While not a fish restaurant per say, Henry’s House certainly offers delicious treats in shrimp tacos and fish & chips. The vintage rooftop deck is where you want to be, with plenty of seats and excellent views across Market Street. Locals simply call this the Pavilion Bar as it’s located in the Market Pavilion Hotel. And calling it the Market Pavilion Rooftop Bar just seems superfluous. 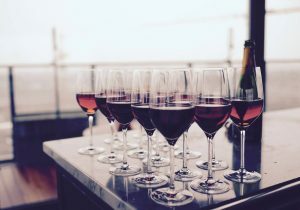 An expensive place, but it’s more fine drinking than fine dining. That’s a polite way of saying that a drink up here is nice, but the food isn’t worth the price. There’s a pool too, so make sure you watch your step after having that drink. It’s ideal for a late night drink with views of the Historic Charleston City Market and the Harbor. Not only do you see the beautiful harbor, but you can also look across Cooper River and spot the Ravenel Bridge too. That said, don’t expect miracles with the food at Harbor Fish House. You’re paying for the fantastic view across the harbor to downtown. Fried food for a high price is what you’re getting here. If you’re looking for great fish dinners with a great view of Charleston Harbor, then this is the only place to go. Nowhere else on this side of Charleston can compete with the views on offer here. It’s the only waterfront downtown Charleston seafood restaurant, but it won’t be around forever. The land is set to be turned into yet another hotel. Enjoy the view while you can. Everytime I write Fleet Landing, I think of King’s Landing from Game of Thrones. Have you been to Shem Creek yet? It’s one of my personal favorite non-downtown places to watch the sunset. It’s also where you can watch shrimp and fishing boats come in with their catch. Or go paddleboarding. Near Shem Creek Park you’ll find this lovely little restaurant that provides cheeky cocktails, sunset views, and even some delightful dolphin sightings. No, Tavern & Table isn’t by definition rooftop dining. But the view from its deck is quite nice. And the food is better (and patrons less drunk) than next door Red’s Ice House. They have an actual tower you can go drink from, if there’s room. But hey, no one can mess up a bottled beer. Or can they? I really wish I would include the rooftop terrace at the Dewberry on the list. They only recently opened-up the Dewberry hotel. It’s uber luxury, and the view from the highest rooftop restaurant in town is great. 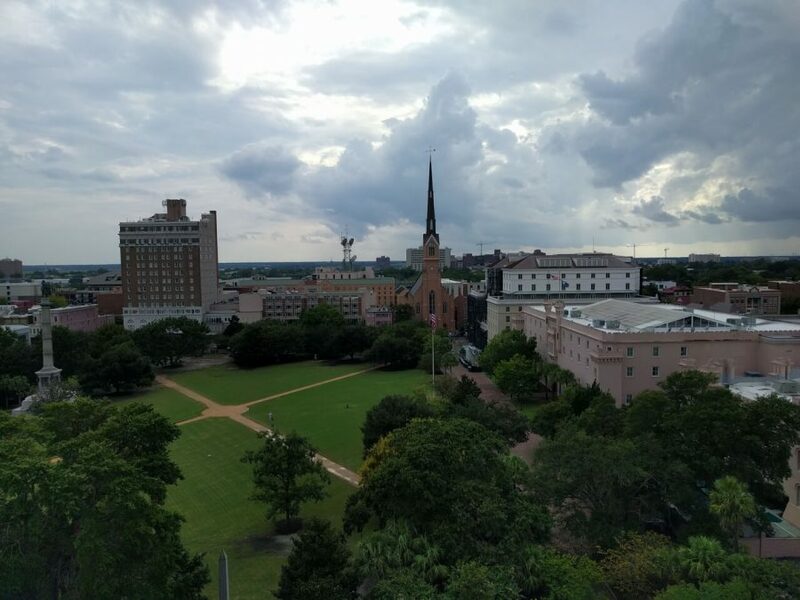 You can snag a sweeping view that includes Marion Square and the Mother Emmanuel AME church. So why is it not? 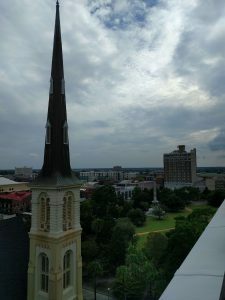 The developers tried to pull a fast one on the city of Charleston and slip the rooftop bar and restaurant in. They hoped they could build it and skip all the standard protocols for getting approval. Well, it didn’t work out, and now they can only offer the space to paying guests of the Dewberry. If you can get up there, the view’s worth it. Just don’t make a big deal about it, and know that the Dewberry cannot legally let anyone but guests up there. That disclaimer is my way of hoping that the Dewberry doesn’t contact me and ask me to remove them from the list. Adding a link to them is probably not the best way to stay under the radar. What’s the Best Rooftop Restaurant in Charleston, South Carolina? That’s tough. I would go for the Rooftop at Vendue first, and the Watch second. They have frickin’ amazing views of downtown. And I’m biased, I like being able to walk to them. 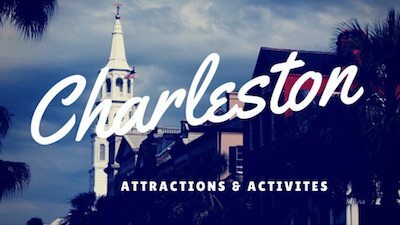 Check out any of these restaurants if you’re looking for a great time with great views in Charleston! Wow, my palate is excited, too, about our upcoming trip to Charleston! … after reading your enticing descriptions, that is. 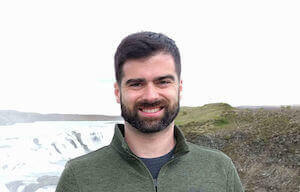 Thanks for the personal preview of places to anticipate.